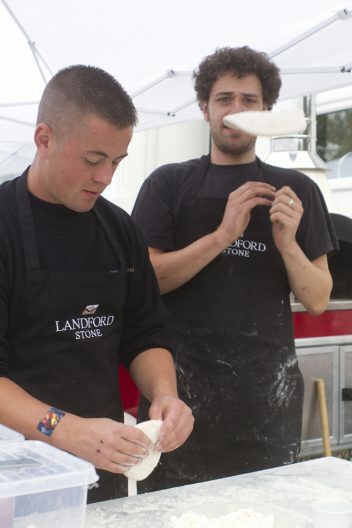 You are all invited to our annual open day at Landford Stone on Friday 5th of August between 10.00am -16.00pm. Once again we will have the Stone Bake Pizza Oven and Refreshments. Taking the place of last year’s BBQ, will be a delicious HOG ROAST. There will be lots of Demonstrations; including using the latest laser technology in templating and factory tours so you can see the hi-spec machinery used to manufacture your stone installations. Come and speak to our professionals who will be happy to answer questions. New Materials from a number of the UK’s and World’s leading suppliers will be on show. We will have some stunning marble looking quartz materials which are in high demand at the moment. Joining us this year will be: Spire FM Radio who will be here on the day. The following suppliers attending are listed below. CA’ Pietra will be here showcasing their stunning natural flooring that they have to offer, which is available through Landford Stone. Come and see our new Flooring showroom. Lithofin who provides us with their Nano technology sealant for all of our natural materials, which enables us to provide a 20 Year Warranty that our competitors cannot offer at this time. Not forgetting the famous TELTOS by Landford Stone. We will have New Teltos colours on show and a stunning newly installed Teltos outdoor display area. We have also just updated our own showroom, so come and have a look. Don’t miss out, as this will be a great day for all, come and join in the fun, open to both trade and private customers. If you would like to join us this year then please register with this link, Please kindly let us how many people will be coming, so we can arrange enough food and drinks for everyone.